Equity Trust, a well know IRA custodian and marketer of self-directed IRAs at events across the country, was recently served with a cease and desist order by the US Securities and Exchange Commission (SEC). The order is based on Equity Trust’s tacit involvement in a Ponzi Scheme wherein 100 Equity Trust account holders directed funds to be invested with two unscrupulous individuals (download here). Equity Trust has argued the injunction is unjust given they do not offer investment advice and each account holder signs a buy-direction letter confirming Equity Trust did not offer any advice and agrees to hold Equity Trust harmless for any negative outcome. The SEC was not persuaded by this argument. (Equity Trust SEC Cease and Desist) This is first of such actions by the SEC against an IRA custodian; however, it comes on the heels of two separate actions, in different courts, finding prohibited transactions on the part of self-directed IRA account holders. The Court found the poorly drafted operating agreement providing for the payment of a management fee to Mr. Ellis coupled with its actual payment, was a prohibited transaction. The payment alone was enough to revoke his IRA’s tax-exempt status, and the Court did not need to consider the other issues. The LLC loaned the debtor money. What is particularly interesting in this case who sought to defeat the IRA’s exemption – the bankruptcy trustee and not the IRS. Under most state laws, IRAs are an exempt asset in a bankruptcy. If the Trustee could show, which he did, Mr. Barry committed a prohibited transaction, his IRA would lose its exemption protection. Mr. Barry lost his IRA. You might be wondering why would either of these individuals enter into a transaction with an LLC that was not wholly owned by their self-directed IRA. The answer is simple, the investment of a self-directed IRA into an LLC partially owned by the IRA account holder, or an independent third party is not a per-se prohibited transaction. In fact, the Ellis court recognized as much in its opinion stating: “The tax court also found that the IRA’s purchase of an interest in CST was not a prohibited transaction because the company did not have any membership interests when the investment was made. See Swanson v. Comm’r, 106 T.C. 76, 88 (1996) (explaining that a “corporation without shares or shareholders does not fit within the definition of a disqualified person”).” However, these transactions run awry when the taxpayer proceeds without competent legal advice. Most real estate investors rely upon their IRA custodians for advice who later disavow any liability by hiding behind disclaimer language in their buy-direction agreements. I understand that my account is self-directed and that Entrust . . . will not review the merits, legitimacy, appropriateness and/or suitability of any investment in general, including, but not limited to, any investigation and/or due diligence prior to selling any investment, or in connection with my account in particular. . . . I understand that neither the Administrator nor the Custodian determine whether this investment is acceptable under the Employment Retirement Income Securities Act (ERISA), the Internal Revenue Code (IRC), or any applicable federal, state, or local laws, including securities laws. I understand that it is my responsibility to review any investments to ensure compliance with these requirements. I am directing you to complete this transaction as specified above. I confirm that the decision to sell this asset is in accordance with the rules of my account, and I agree to hold harmless and without liability the Administrator and/or Custodian of my account under the foregoing hold harmless provision. The Court found it important to reference this language because Mr. Kellerman asserted an Entrust representative sanctioned the investment into an LLC he partially owned. Having dealt with a number of individuals in similar situations, i.e., engaging in minor to severe prohibited transactions with their self-directed IRAs, one answer remains consistent when asked who advised them on their course of action – a representative with their self-directed IRA custodian. Amazingly, some of these individuals have provided me emails with structure diagrams, prepared by their IRA custodians, sanctioning prohibited transactions. Thus, we consider the Equity Trust injunction. The SEC in their request for an injunction specifically stated Equity Trust engaged in a pattern of behavior wherein they advised and facilitated their account holders to engage in certain transactions then sought to hide behind disclaimer language in their buy-direction letters. This type of behavior will undoubtedly result in considerable future litigation as the IRS’s examination of self-directed IRAs gains momentum. One would think active, self-directed IRA investors would prefer to seek security over instability. However, it often comes down to the knowledge of the present situation. 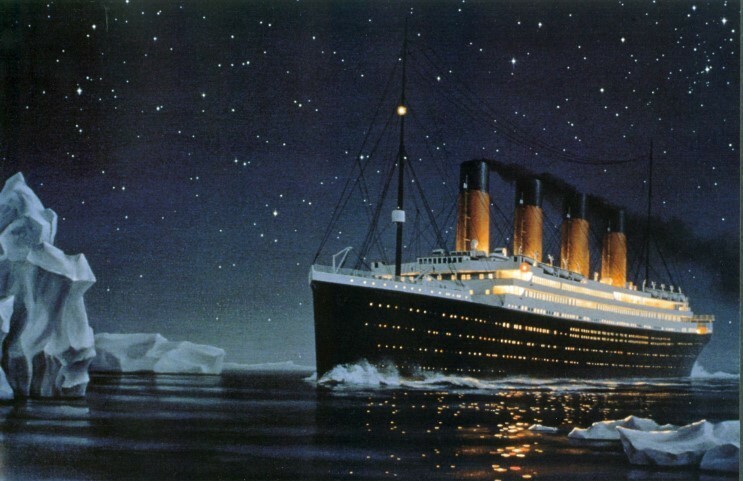 Like Edward John Smith, who failed to realize the magnitude of the damage his ship suffered on the fateful night of April 15, 1912, so have many self-directed IRA account holders. For an unlucky few, their IRAs have struck an iceberg, and their exemption will not hold if prompt rescue action is not taken. Do not receive any benefit direct or indirect from the transaction. If you are careful and take appropriate steps, tax-deferred investing without the impending chaos is possible. The key is in knowing its coming and the time for action is now. So what you’re saying is that I can only do one transaction at a time… once first transaction has sold property utilizing your above scenario and distribution is accordance to the agreement, as well as funds going back to the solo 401k plan I can buy another property with same or similar arraignments correct? Correct. If you want to keep the money in the LLC for further investment, do not make any distributions to the 401k.